Zazen is to penetrate the self. To penetrate the self is doing zazen, eating, working, going to dokusan, resting, sleeping, being awake. If it isn't, everything is only past experience. You did zazen, ate, worked, went to dokusan, rested, slept, were awake. "Ah! It was a nice experience." But experience isn't zazen. It's extra. Zazen is the present moment. To penetrate the self is the present. Consequently it isn't something that can be spoken of. 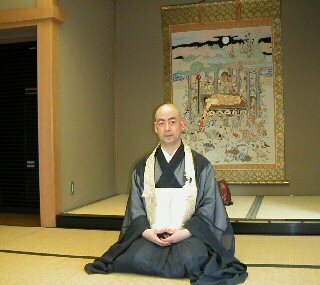 From the time we begin to speak about zazen, zazen disapears. No matter what condition the self is, zazen is to silently penetrate the self.